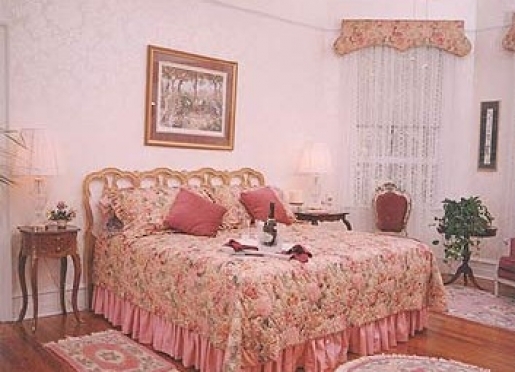 Burgundy, rose, pink and gold roses and hydrangeas cover the king size bed and adorn the lace covered windows. 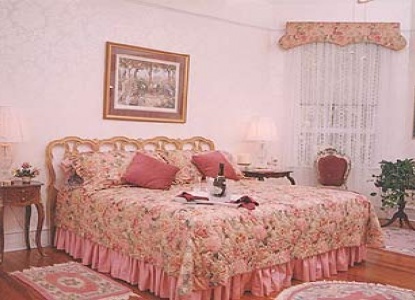 Decorated with French influence, with white on white wallpaper, this wonderfully romantic room is perfect for that special anniversary or honeymoon night. 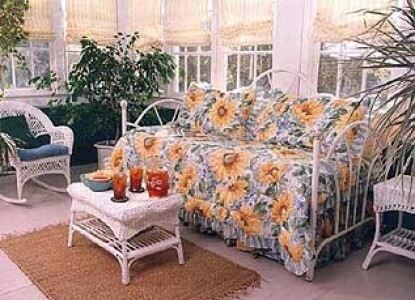 This room has its own sitting area in the wide bay window. Pamper yourself with a bubble bath in the burgundy claw foot tub with a shower. Extra pillows on the king size bed and scented candles add to the romantic aura of this room. Rate $99 per night. Soft cool blues and navy decorate this spacious room with a rice planter king size poster bed. Relax in the Queen Ann chairs in the sitting area. An old steamer trunk serves as a luggage rack, an antique English wardrobe your closet. Luxuriate in the original pedestal tub, now with a navy blue exterior. 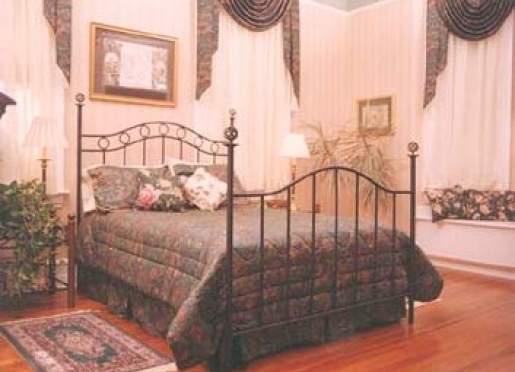 Additional fluffy pillows on the king size four poster bed and scented candles make this a wonderfully romantic room. Rate $99 per night. 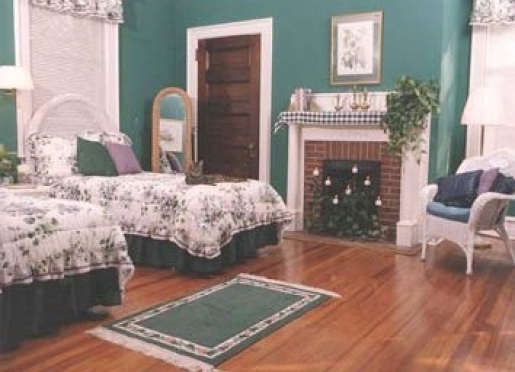 Wicker furniture, violets against hunter green walls and white trim make this room cozy and comfortable. 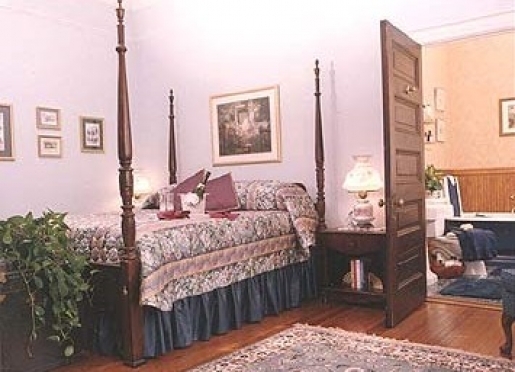 The extra-long twin beds can be converted to a king bed. This private bath contains a hunter green claw foot tub with shower. Rate: $90 per night. Mockingbird Porch, which adjoins Carolina Paroquet, is available to guests as a two-room suite. 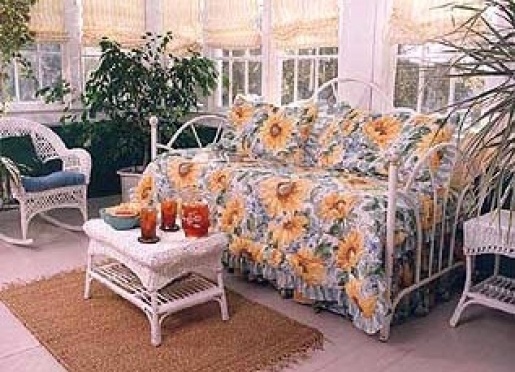 Furnished in wicker furniture with bright yellow sunflowers and hanging plants, the day bed (with trundle) can sleep an additional two people. 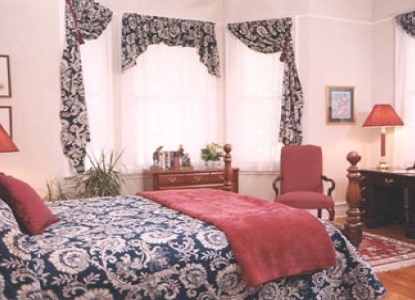 When not used as a suite, it is available to all guests. 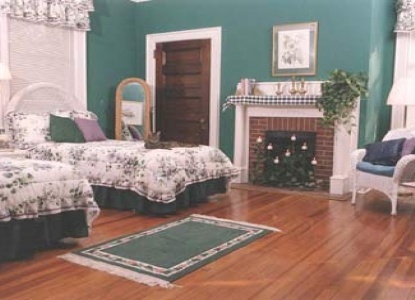 The queen-size wrought iron and wood poster bed decorated in rich emerald greens and gold compliment the tone-on-tone beige wallpaper of this room. A collection of brass plates are displayed around the picture rail. A window seat beckons from the bay window. The private bath has a shower. Rate $85 per night. Civil War enthusiasts will enjoy this room which contains portraits of Robert E. Lee and U.S. Grant and many volumes of Civil War history. 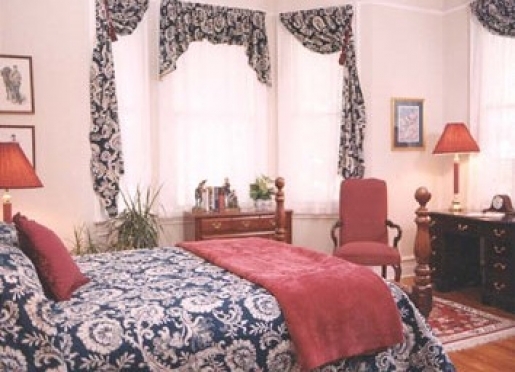 Decorated in warm beige and indigo blue with a queen-size bed and bay window. The private bath has a shower. Scented candles and extra pillows on the queen bed give this room an intimate feeling. Rate $ 85 per night. 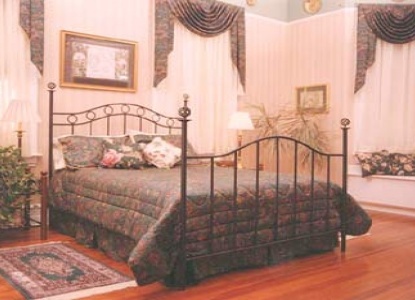 Thank you for making an inquiry about staying at Songbird Manor Bed & Breakfast.